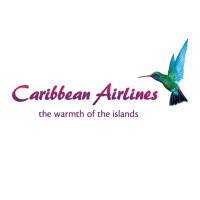 Caribbean Airlines was founded in 2006 by the Republic of Trinidad and Tobago following the closing down of BWIA West Indies Airways Limited. The airline promises to show the same consideration to their employees as it has for its customers. Those who find this commitment incentivizing can locate the Caribbean Airlines Application link at the end of this article. Since its inception, the airline has incorporated Air Jamaica and Tobago Express into its ranks hence becoming the largest airline in the Caribbean. It prides itself as being a member of International Air Transport Association (IATA) and with receiving, two years in a row (2010, 2011) the title of “Caribbean’s Leading Airline” from World Travel Awards. From its hub at Piarco International Airport, Caribbean Airlines operates 600 weekly flights to destinations in the Caribbean, North and South America and the UK. Currently, 1700 employees from all CARICOM nations strive to impress customers who chose to embark on a journey aboard one of Caribbean Airlines’ twenty-one aircrafts. The fleet consists of five ATR 72-600, fourteen Boeing 737-800 and two Boeing 737-300 ER. The company’s mission statement to increase customer satisfaction via high service standard translates into three loyalty programmes – Club Caribbean, Caribbean Miles, 7th Heaven Rewards, plus complimentary meals and refreshment during the flights. In devotion to local heritage, Caribbean Airlines has taken a pledge with Caribbean Tourist Organisation (CTO) that was marked by joining New York’s Caribbean Week, during the first week of June this year. Going forward, the company plans to open an aircraft maintenance programme similar to what BWIA had, with the purpose of boosting cash flow. Another step in that direction is the new interline deal signed with Emirates Airline, the largest international airline, which offers accessibility to over 100 cities. The Maintenance and Engineering department has recently welcomed nineteen trainees from Metal Industries Company and the University of Trinidad and Tobago. Caribbean Airlines careers meet expectations at any level of expertise. Entry-level candidates who can demonstrate skills in customer care and hospitality will be given the chance to professional development through promotions and to personal fulfillment by connecting with people from all the corners of the world and discovering all the wonders the company’s destinations can offer. Such an extensive operation needs experienced personnel to oversee departments, organize logistics, manage the fleet and decide on ways forward. Seasoned professional should hold a high level education degree, good references and a track record which shows prowess in customer services fields. Hard work and overtime is repaid through competitive salaries and benefits. The airline employs on a full-time basis but also on a part-time basis. There is a vast array of positions to consider amongst which are pilot, flight attendant, administrative assistant, customer experience agent, engineer, maintenance technician, in-flight crew member, operations manager, financial analyst, legal assistant, baggage handler, corporate communication associate, information services representative, security guard, station agent and customer service representative. The hours of operation are Monday to Sunday, twenty-four hours a day. The answer to “How old do you have to be to work at Caribbean Airlines?” is eighteen years old. This may vary according to job requirements. You can find information on how to apply for Caribbean Airlines careers online on their official website. From there you can also download an application form and a printable application form is available as well. Benefits for being part of team Caribbean Airlines include paid holiday, discounts on flights, credit union membership, direct deposit pay and not to mention a worthwhile salary. Loyalty is rewarded through health insurance, including dental cover. Employees in upper-management positions receive life insurance, savings benefits, retirement plans and company shares. Flight Attendant – The main job requirement is to serve people aboard the aircraft. To accomplish this, flight attendants direct passengers to their seats, help them with the overheads luggage, and provide refreshments. They also inform passengers of safety measures and deal with any requests they might have. A qualifying criterion for this position is being able reach the overhead compartments situated at an approximate height of 212 cm. Speaking several languages will increase chances of getting the job. Hourly pay varies between $12.00 and $26.00 per hour. Customer Representative – As a customer representative, one must greet customers, answer queries, check-in luggage, process flight reservations and cancellations and announce delays and cancellations. Ticket agents should be vigilant and insure none of the security and safety provisions have been broken. The usual hourly rate for this employment is between $10.00 and $22.00. Security Guard – Working as a security guard in an airport means watching over the safety of passengers and staff. Job requirements include monitoring and screening passengers, guarding restricted areas, inspecting assigned areas inside and outside the airport and producing thorough incident reports. The hourly wage for this job is around $20.00. Baggage Handler – The main duty of a baggage handler is to load and unload luggage from aircrafts. Candidates must be fit since this position can challenge the body as it involves lifting, carrying, pulling, pushing and standing up for several hours. Helping passengers with special needs might also be required from time to time. Hourly pay for this job is between $9.00 and $18.00. Below are some questions that are often asked during interviews. What makes eligible for a Caribbean Airlines Application? This is a very common question that applies to all employment levels. In order to give an adequate reply you should consult the company’s website and familiarize yourself with its policy and employees’ rewards. What is your work history? Only mention relevant experience or skills that are transferable. Outline abilities acquired through past jobs and the way they have participated toward your professional growth. How long do you plan to stay with Caribbean Airlines? This question aims to grade your level of commitment and thought put into whether or not you would have development opportunities with them. Be as honest as you can and show that you are serious about advancing within the airline. How do you react to work stress? Working with people in a busy environment requires finesse and patience as the risk of things going astray is high. Whether it’s selling tickets, answering queries over the phone, landing a plane in bad weather conditions or locating lost luggage, no job is safe from stressful situations. Interviewers ask this in hopes of ascertaining how aware of and prepared to deal with pressure you are. “Do you like flying?” If you apply for Caribbean Airlines jobs aboard airplanes you should be comfortable with flying. Before considering such a position, please consider any medical issues that might encumber your health and the performing of your duties. “Do you like attending to people?” This is mainly directed to flight attendants who must demonstrate charisma and positive approach to situations. Here you should elaborate on the fact that you are a sociable person who finds content in helping others. The first step towards landing Caribbean Airlines jobs is by submitting an application either on the company’s website or on other job posting platforms. Make sure that all forms have been completed thoroughly. Depending on the number of applications, candidates may wait at least two weeks before being contacted by Caribbean Airlines through email or over the phone. A preliminary interview could take place over the phone or in a group interview. When called for a one-on-one interview, the candidates must dress and behave appropriately. They should express their gratitude for getting a chance to demonstrate their employment value. Regardless of the position sought, applicants must research the company, therefore showing interest in it. Reading about the business will also help the candidate focus on asking the hiring managers pertinent questions and avoid embarrassing scenarios. The majority of applicants go through background checks and employment history verifications. After the interview, don’t forget the phone or email follow-up. Be brief, respectful and express your delight for the way the interview was organized. Candidates could wait even a month before receiving a decision from the airline on the state of their application. Thai Airways: Checkout the application page for work at Thai Airways. Delta Airlines: Use the Delta Airlines job application to apply here. Oceania Cruises: See this page for jobs at Oceania Cruises. Qatar Airways: See our guide for careers at Qatar Airways. Royal Caribbean International: Use the Royal Caribbean International job application to apply here.